Beijing’s leaders are determined to pry away Greece, Hungary, Poland and other nations from reliance on the European Union to make China the dominant Eurasian economic and security power, two Indian security experts said Wednesday. Chinese President Xi Jinping and other leaders in Beijing have a long-term view of dominating large swaths of land and water economically, militarily and culturally, Samir Saran, president of the Observer Research Foundation in New Delhi, said at the Heritage Foundation in Washington, D.C. It was indeed provocative for the editors to start off with these quotes, but they’re nevertheless important points that the Indian experts felt like making and therefore worthy of media attention. The substance of thought put into those statements isn’t as significant as the general idea being expressed, however, which is that some of the country’s most prominent and well-respected experts felt it necessary to fear monger about China’s New Silk Road role in Europe before an audience of neoconservatives. ORF is probably the most prestigious of all of India’s think tanks and its influence on the country’s politics could be compared to that of the Council on Foreign Relations (CFR) when it comes to its American counterpart. Samir Saran and Sunjoy Joshi weren’t just in DC to sightsee, but to hobnob with some of the most powerful people in the academic/expert wing of the American deep state. 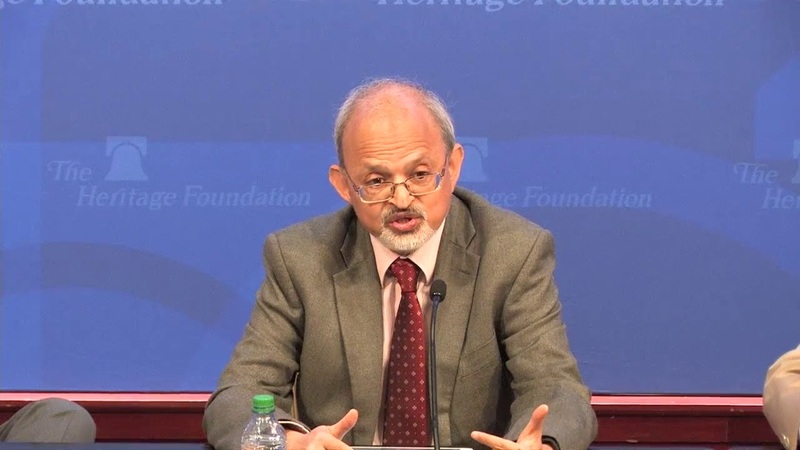 Likewise, the Heritage Foundation intended to do the same with the ORF, bearing in mind that the organization is also a revolving door between Indian government officials and the nominally private sector. Nothing brings the US and Indian deep states closer than their shared stances towards China, and the Heritage Foundation’s Indian guests sought to impress their hosts by cranking up the characteristic fear-mongering about the People’s Republic to hyperbolic levels in alleging that Beijing is carrying out “salami-slicing” tactics that USNI reported Joshi as warning are “pushing for the soul of Europe”. It’s not a coincidence that two of the three countries that were mentioned, Poland and Hungary, are internationally regarded as being the modern-day torchbearers of Christian Civilization in Europe, which contrasts with what neoconservatives consider to be the “soulless” Chinese communists. Having utilized masterful perception management techniques to manufacture a geopolitical “problem” where none had previously existed, the Indian guests essentially reverse-engineered the “solution” that one of their American hosts, Jeff Smith, would touch upon in commending their two countries for enhancing their Afro-Pacific coordination with one another, especially through the stationing of an Indian military liaison at the US’ Central Command headquarters. Quite clearly, both sides envision “solving” the “problem” of China’s New Silk Road inroads to Europe through expanded maritime coordination that could keep Beijing in check and possibly even cut off its Sea Lines Of Communication (SLOC) during times of crisis. The ORF’s public powwow with the Heritage Foundation was therefore ultimately a success for India because its most famous academic-expert representatives convincingly virtue signaled to the powerful neoconservative deep state faction of their new 100-year-long military-strategic American allies that their country is aware of China’s purportedly pernicious intentions in “pushing for the soul of Europe” and thus eager to expand their joint capacities in thwarting this “threat” all across the world and in every one of its manifestations.